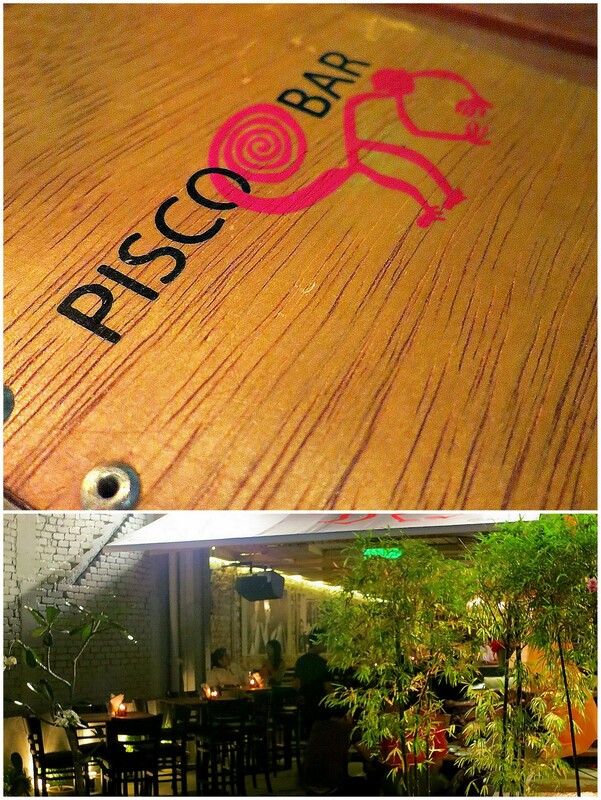 Pisco Bar, a South American restaurant launched this month within walking distance of Changkat Bukit Bintang, could do for ceviche & chicharrones what Pinchos Tapas Bar has done for Spanish croquetas & calamares in this neighborhood. 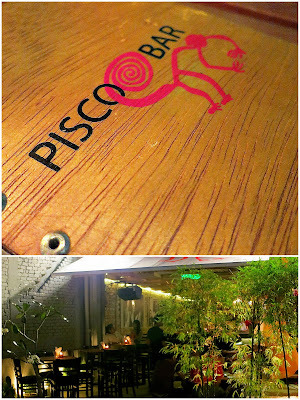 Pisco Bar boasts a friendly service team, sleaze-free setting, relaxed vibe & well-priced menu by Peruvian chef Miguel Hokama (a familiar face from Mont Kiara's now-closed Ristretto); wouldn't hesitate recommending this for an after-work hangout in the city. 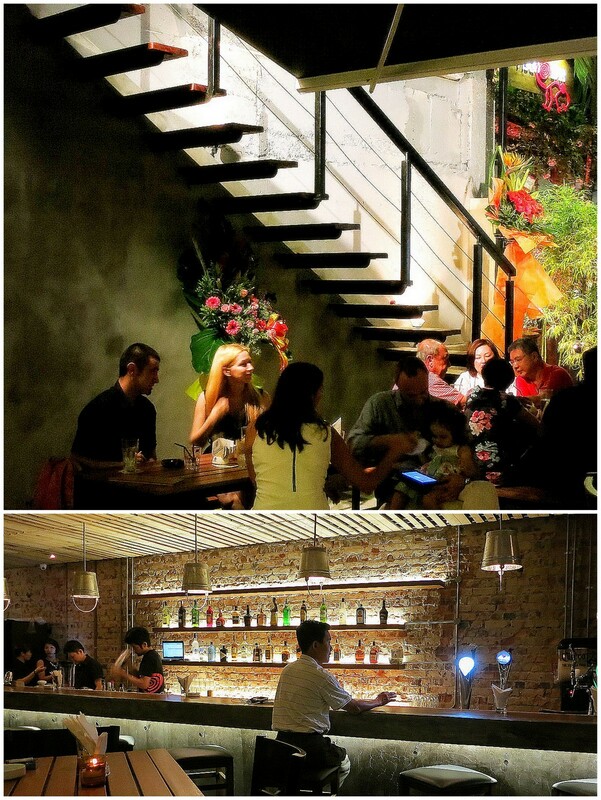 Start with snapper ceviche (RM18+), raw fish marinated in "leche de tigre," or tiger's milk, a tangy-spicy formula of lime juice, onions & chili peppers that's considered both a hangover cure & an aphrodisiac. Mussel & tuna ceviches are also available, each tinged with different types of South American chili peppers: amarillo (yellow), rocoto (red) & mochero (small yellow). Plantain chips come complimentary with the ceviche; customers might also want to check out the tiradito (not pictured here), a Japanese-influenced carpaccio-like concoction of thinly sliced tuna topped with tiger's milk & soy sauce. Causitas (RM18+), reminiscent of maki rolls, except with mashed potatoes instead of rice. Creamy carbs stuffed with avocado, soft-shell crab, prawns & prawn roe. 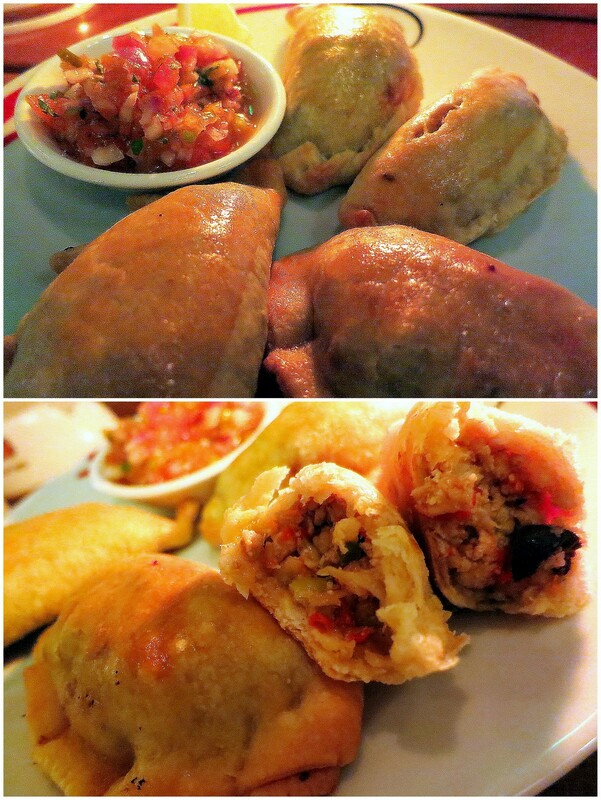 Pisco Bar's empanadas (RM16+) are addictive, some bursting with beef, others with pork. ... & succulent stewed lamb with chickpea "tacu-tacu." Naturally, Peru's Pisco Sour cocktail is a highlight here, delightfully delicious. But we also like the Peanut Butter & Jelly shooter, comprising frangelico & cranberry. Chilcano De Pisco (pisco, ginger ale, lime juice, angostura bitters) & Elderflower Martini (vodka, elderflower syrup, sweet & sour mix). Awesome review as always Sean! Did a double take on the tiger's milk - thought it was literal. Heh. urm, just wondering.. why no state price de? Pork on the menu! This is certainly good news! And comes in well since I was chatting about South American food over the weekend with the cousins as a result of missing our aunt who's still in Guatemala. LOL. I must add that pricing is decent too! The rolls look good - I would prefer potatoes over rice anytine...in those. Yummm...the empanadas for me anytime! Did the peanut butter & jelly cocktail actually contain and/or taste of PB&J? Ceviches & empanadas, I miss my trip! 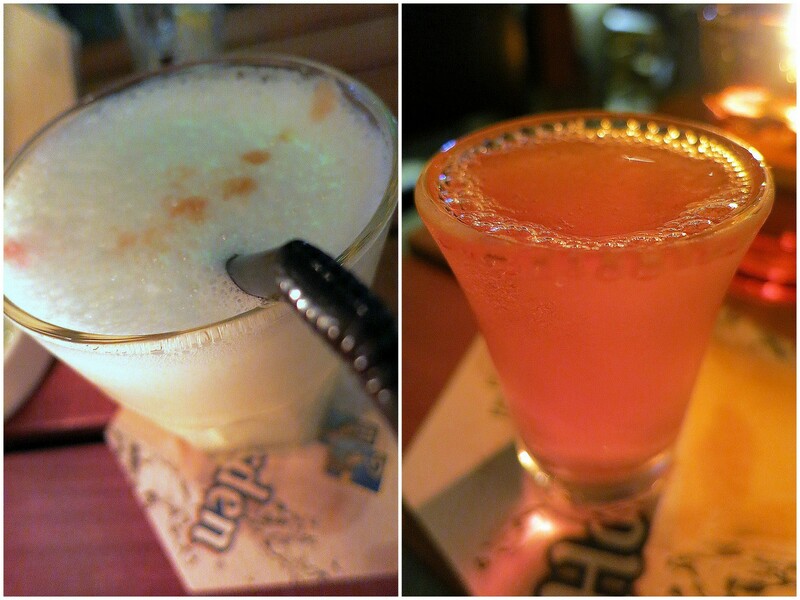 But not so much on Pisco Sour, lol. South American dishes certainly looks colorful, the Tapas which I have not tried before looks like a cruncy thing ! 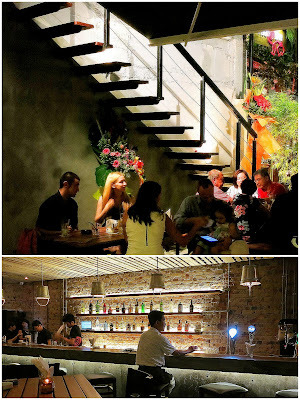 there is another new eatery add into your list.. I love ceviches.. and I think they're really healthy too! Ah Peruvian. How does this compare to the Peruvian feast we had at Ritz? Hurrah! A peruvian restaurant arrives!